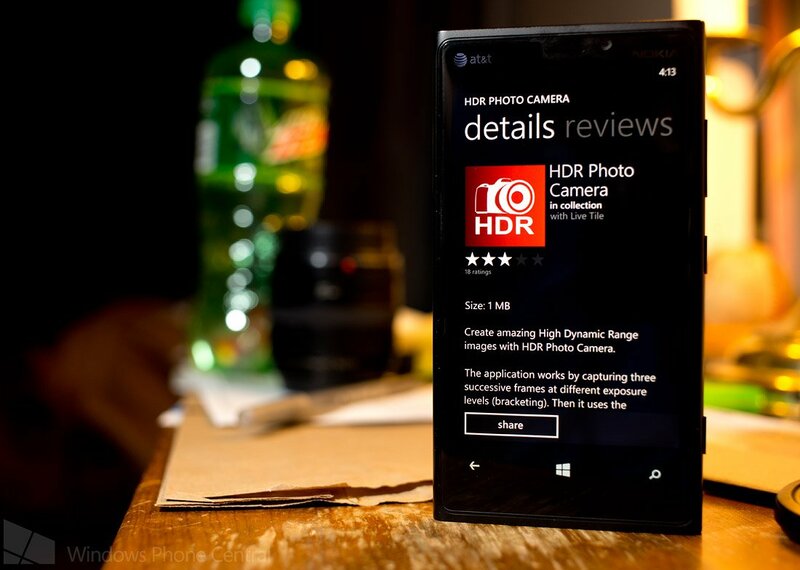 As if someone was reading our minds the Windows Phone 8 photography app, HDR Photo Camera, has been updated to add post-processing and flash control to the app. HDR Photo Camera still has a simple interface with settings that allow you to adjust the processing parameters before you capture the photo. With the version 2.1.0.21 update you can now perform post-processing adjustments for brightness, contrast and saturation. This is one feature we felt HDR Photo Camera needed to allow you to make minor adjustments to your HDR image (High Dynamic Range) without having to re-take the photo.I'm not one to use the flash very often with my Windows Phone camera, so it's also nice to see the ability to turn the flash off with HDR Photo Camera. The update definitely gives HDR Photo Camera a boost in capability. We wouldn't mind seeing the photo capture rate quicken to avoid the need for a tripod or other means of support in the next update, but that may be a limitation of the camera not so much the app. There still isn't a free trial for HDR Photo Camera and it is currently running $2.49. You can find HDR Photo Camera here in the Windows Phone Store. See our earlier versus article comparing this app to HDR Camera, it'll help you decide between the two and is a must read!